UK: A draft budget of £60 million (€67.4 million) has been allocated to the UK's next contracts for difference (CfD) auction, which will include offshore wind projects and onshore sites on remote islands. The auction is due to be held in May 2019. Maximum bids have been set at £56/MWh (€63/MWh) for offshore wind farms coming online in 2023/24 and at £53/MWh (€59.6/MWh) for those following in 2024/25, according to a draft notice published by the UK government’s department for business, energy and industrial strategy (BEIS). Bids for wind farms on remote islands, meanwhile, are capped at £82/MWh (€92/MWh). The two technologies will also compete against advanced conversion technologies, anaerobic digestion projects larger than 5MW, dedicated biomass with combined heat and power, geothermal, tidal stream and wave projects. A budget of £60 million could buy between 1.9GW and 3.2GW of offshore wind capacity, according to consultancy Cornwall Insight. Contracts will be allocated to the cheapest eligible projects first and BEIS has set an overall capacity cap of 6GW for the auction. BEIS forecasted day-ahead hourly prices of £48.62/MWh for ‘intermittent technologies’ — which would include offshore wind farms and wind projects on remote islands — online in 2023/24, and £51.32/MWh in 2024/25. Developers would receive the difference between this reference price and the strike price — the price they bid in the tender. A budget of £290 million (also in 2012 prices) was available in the UK’s most recent CfD auction round in September 2017. However, it is unclear whether the full budget was used. In that tender, offshore wind won 3,196MW, with two projects securing contracts at £57.50/MWh and a third at £74.75/MWh. Dedicated biomass with CHP and advanced conversion technology projects won the remaining 149.95MW capacity that was awarded. The UK government announced the 2019 auction round in June. It also confirmed plans to hold further biennial tenders through the 2020s. At the time it added that "depending on the price achieved, these auctions will deliver between 1GW and 2GW of offshore wind each year". The government later stated, in October 2017, that up to £557 million would be made available for CfD auctions, but did not confirm how long this amount was expected to last. Publication of the draft CfD budget comes alongside UK energy minister Claire Perry reportedly confirming a sector deal with the offshore wind industry would be concluded by Christmas. The deal would consist of bespoke arrangements between BEIS and the wind power industry to lessen the impact of low-carbon electricity levies not being available until 2020 at the earliest. According to the Offshore Wind Industry Council (OWIC), Perry said she expected such a deal was imminent at the opening reception of offshore wind week in the House of Commons. 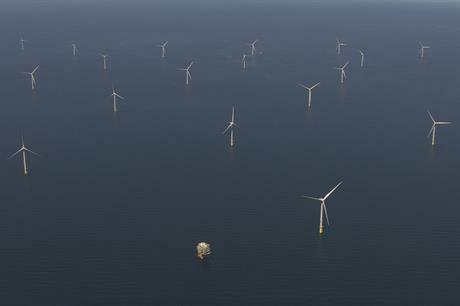 Co-chair of the OWIC, and Ørsted’s UK country manager for offshore wind Benj Sykes, said: "With the right deal in place, we can continue to attract billions of pounds of investment in new infrastructure, secure our power supplies, and create thousands of skilled jobs, including our supply chain which already extends to every part of the country." Meanwhile, writing in UK newspaper, The Times, Perry, said: "Such is the success of offshore wind in the UK, that by 2030 we expect a whole host of new projects to come online without needing to rely on consumers to pay a penny in subsidies." The announcement of the draft CfD budget also comes after Japense firm Toshiba pulled out of a 3.4GW nuclear plant under development in north-west England. The scrapping of the Moorside power plant in Cumbria leaves a hole in the UK’s energy plans.